E-commerce can be very competitive especially when you are first starting out. Many people struggle with opening their first store. Then when they do they begin to struggle with traffic and making sales. If you are not a traffic expert you might have the same issue. There is a new Shopify App that can help you solve those issues and more. Here I will be giving my honest review of ZeroUp 2.0 and some bonuses to help you succeed. The creator of Zero Up, Fred Lam to help others have great success with Shopify stores. The app was made to help anyone from a beginner to a seasoned pro. First, we need to talk about what it is and if it can help you create a 6 figure store. Alright, I have already eluded to the fact that it is a Shopify app, but what does it actually do? It might seem simpler to explain what it doesn’t do. It doesn’t make you earn a million dollars without any work and overnight. It does make things much easier. It can build a complete store within a few minutes, including sourcing photos, descriptions, and more. Here is where some of the work comes in. While this is all great, you really should make the descriptions better than they are.My suggestion is to try and write 300-500 word long descriptions. Giving the items some kind of life. That being said it is a great starting point. It will help you find out what your competition is doing, help you source your inventory, and even train within the system. (More on that in the features though). One of my favorite books is “The 4 Hour Work Week”. One of the things to accomplish a 4 hour work week is to get virtual assistants. Well, Zero Up is like your own Virtual Assistant to help you cut those hours down. Actually, it is more like an army of them doing different things, now it is time to get to those features. Once you get ZeroUp, the first thing you have to do is to connect it to three main keys to a successful online store. Shopify, Aliexpress, and your Store’s FaceBook Page. The video on the first page when you first sign-in, explains everything to get this accomplished. If you don’t already have Shopify please go ahead and get it now, by clicking here. You will find it very easy to connect your accounts via the links right below the video on the first page as well. You simply click the connect to Shopify link and follow the instructions. After you finish that you add your account name and password to your AliExpress account then finally connect your FaceBook account. All of this is really simple but I have included a picture from the back office so you can see it. This all makes the integration very simple to accomplish. Once that is completed you will want to focus your attention on the left-hand side of the screen. I have included a picture of the menu but this goes over most of the features you will see in the system. Product Engine: This is the actual search engine to find new products. You can break them down in many ways including most popular or doing a simple search. Ad Ideas: This is a huge time saver! This will show you all the ads that are being used by others on keywords. You can even see the exact ad, how many shares, likes, and comments. No more guessing if the ad will work. If you haven’t looked into it this alone can cost upwards of $150 a month or more but is included in the one-time product price. Order Status: Need to know if an order has been placed or fulfilled? This is the place to look. This is another program within the app that can save you money depending on your volume. Tracking Status: You know that order has gone out, but where is it? Find out here. There are also apps out there that can do this but they have monthly fees based on how much you sell. Email Integration: Another great part of the product. Quickly and easily integrate your emails to help with automation. You will need to have an autoresponder. Funnel Builder: Build landing pages and sales funnels from here. 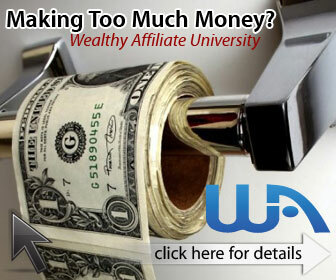 You can use other Funnel Builders of course but those can also have a pricy monthly fee, but it is included here. Profit Multiplier: Set up coupons, time limits and more to help boost those profits, from here. Training: There are 8 training modules located here, with hours of videos. More on this in a moment. Knowledgebase: Here is where you find the FAQ and more. As I mentioned Zero Up included 8 training modules to help you make the most of the system. Each one of these modules is well worth the time spent. It will help you move your store to the next level. Now, what is so good about this app? The integration is simply AMAZING! When you log in and set up your store, you can choose from 10 fully customizable themes. These Themes are great, they are all made with conversions in mind to help you focus on more important things. Now that is an impressive place to start. Don’t worry about the market being flooded, they are huge niches. All you need to do is carve out a little piece for yourself. This system helps you do just that. As I stated earlier you should make your site unique in the descriptions to get the most benefit from it. It is so simple to add new products. You just go into the product engine and search for products within your niche. Once you find one that is perfect, go ahead and click the publish feature and you will instantly have added a new page to your store. Building funnels with upsells and down sells and email integration is a must in today’s e-commerce world. This is one of the things where people leave money on the table. ZeroUp makes it easy to quickly set up landing pages to upsells, and down sells. Don’t leave money on the table. So many products it can be difficult to choose. The good news is you can try a new product and you never have to buy it if it doesn’t sell. So no worrying about inventory. That does go hand in hand with the next downfall though. All of the sourcing is done through Aliexpress. You cannot really integrate and get all the features if you want to use suppliers from Salehoo or other sources. There is two payment options available. There is a one-time payment of $1497 or 3 monthly installments of $597. This may seem a bit pricey but what you save with the ad spy alone you will quickly make it back. They have a very responsive customer service. Responding to emails within 24 hours, which is as much as you can expect. This is a wonderful product for a beginner or seasoned pro. It solves many of the issues that all e-com store owners face; including, but not limited to, what ads to run, how to set up funnels, proper store set up, increasing conversions. There are many products that you can combine to make Zero Up, but there is really only one alternative that has most of the same features, but for another platform and that is TRex Mega Store. You can read more about it here. Okay I have been rambling on for a while. Here is the deal, if you buy Zero Up 2.0 from my link, I will include all of these titles for you to help you get even more traffic to your store and become successful. Just email me at Marc@earnextramoneyhome.com with your receipt and I will get you the titles listed below. If you haven’t figured it out yet, I love this product. It solves so many issues that first time, and seasoned, Shopify owners have. Being able to do most of this from a click of a button really saves time. Time to oneself is one of the main reasons many people want to have an ecom store. The Zero Up 2.0 Shopify App is one of those products that can help you get that time. There you have it, don’t wait for this offer to expire. Take the next step in your success, go ahead and buy Zero Up 2.0 now for your Shopify Store. Maybe e-commerce isn’t for you, and that is okay. Here at Earn Extra Money Home, we want to see you succeed. You can check out my top recommendations here. If you have any questions or comments about ZeroUp 2.0 review please list them below and I will be happy to answer you!